I’ve tried a few brands of gluten free pasta and in general, been disappointed: too slimy, weird taste, wrong texture. And so I normally stick with the courgetti. However, my dietitian, the lovely Nick Trott, at the Hallamshire hospital, pointed me in the direction of this high end gluten free pasta, made by Garofalo. I only know of it being available at Waitrose (although I can’t find it on their website) and Ocado – as you can see, it’s very posh pasta! 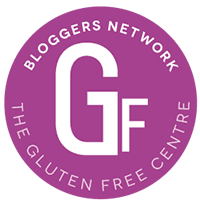 It’s a bit more expensive than the other gluten free brands (£2.99 for 500g, although it’s sometimes discounted) but I think it’s much better than the other brands. It’s made from a combination of corn flour, rice flour, quinoa and corn starch, and as with traditional pasta, it’s pressed through a bronze cast to give it a good texture for holding the sauce: “trafilata al bronzo”. 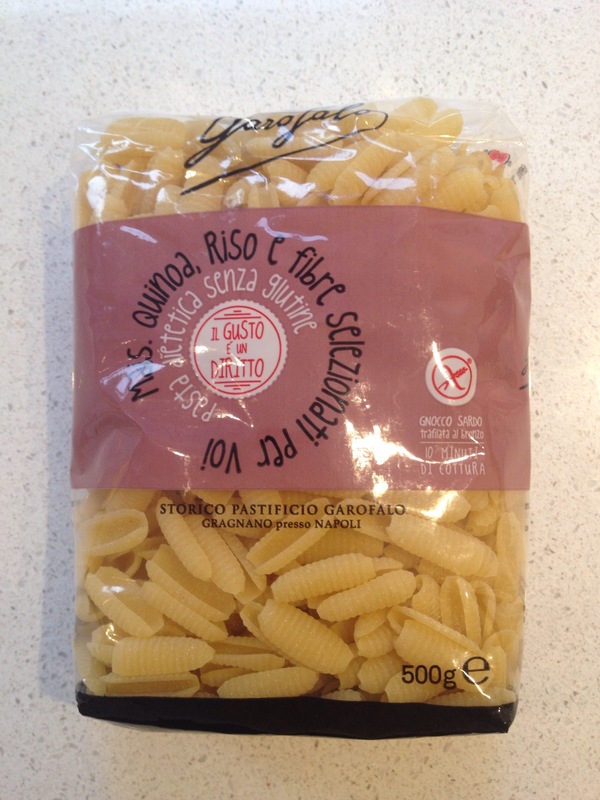 The packet is reassuringly Italian, with Italian text on it, but it also displays the trustworthy crossed grain symbol. What more can you want? 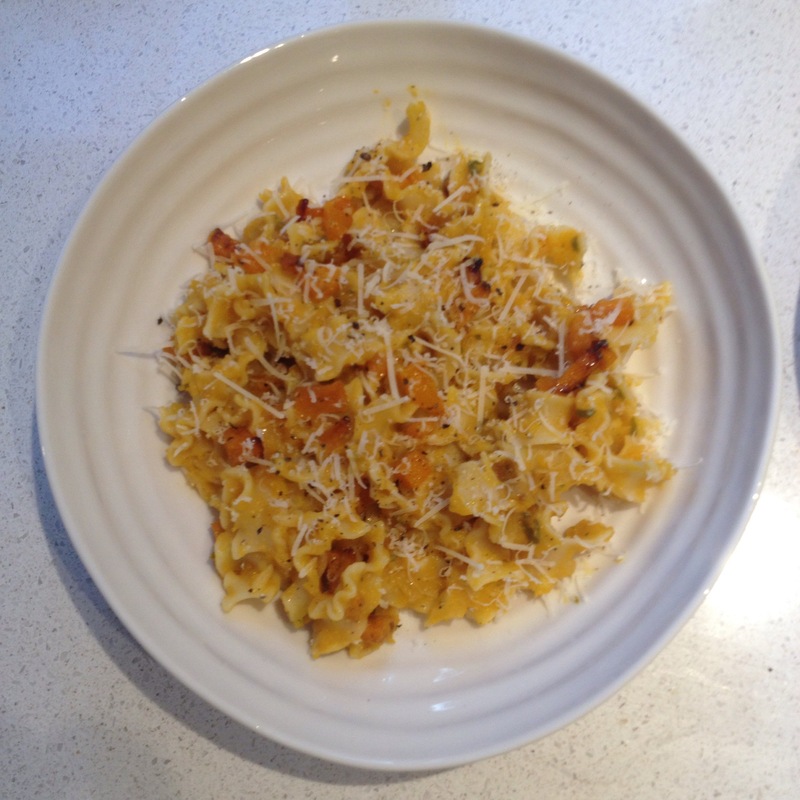 So the pasta sauce: I chopped a large butternut squash into 1/2 cm cubes and roasted them with a couple of large garlic cloves (skins on) and a drizzle of olive oil, at 200 C, until the started to caramelise and the garlic became suitably squishy (that happened first so I took them out while the squash finished off). Meanwhile, I chopped a large onion and sweated it in some more olive oil, adding some finely chopped sage. I blended everything together (onion, sage, garlic & squash) in batches in my mini whizzer, using a bit of water to loosen the sauce. And I saved a few bits of squash to sprinkle on the top. I stirred the sauce into the cooked, drained pasta, and finished it with the extra squash, plenty of grated Parmesan and black pepper. It was divine! As close to real pasta as you can get, I think. Tags: Gluten free product review, recipe. Bookmark the permalink.